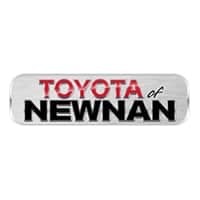 If you’re interested in purchasing a new Toyota SUV, welcome you to bring your search to Toyota of Newnan. You’re sure to find an appealing option from our diverse selection of Toyota cars, and our team of experienced Toyota dealers will be here to help you identify and purchase your ideal Toyota SUV. The 2018 Toyota RAV4 is a compact crossover that offers smooth driving, ample cargo space, and a wide assortment of advanced driver aids — including the Toyota Safety Sense P suite — starting at the base trim. You’ll notice subtle differences in styling and feature availability across all five trim levels. 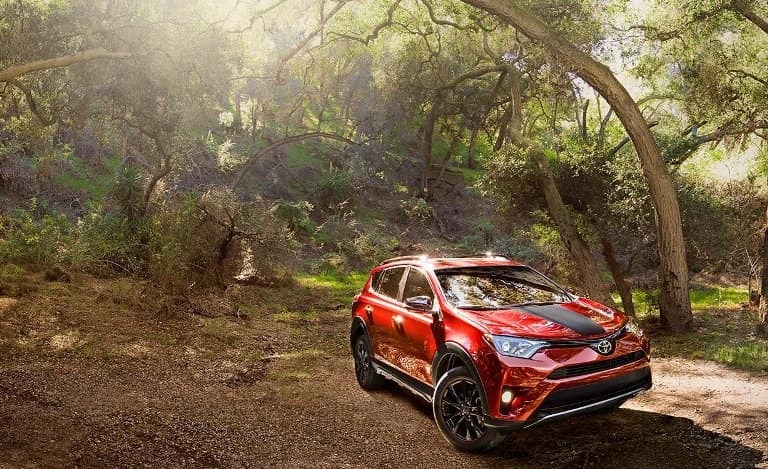 If you select the new Toyota RAV4 Adventure trim, you’ll enjoy sporty and off-road-ready flourishes. For details on this trim level and the rest of the lineup, ask your Toyota dealers near Fayetteville, GA, for a full list of all included and optional features. 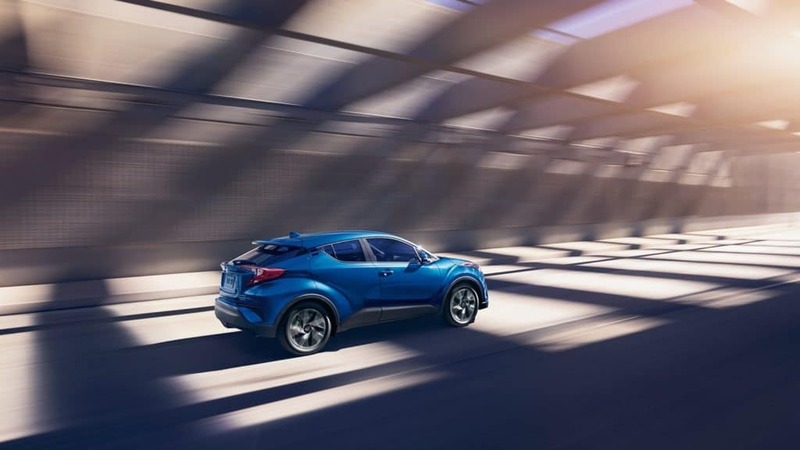 The 2018 Toyota C-HR is a brand-new addition to the Toyota SUV lineup, and it’s an appealing choice for drivers who want a smaller and sportier crossover. Handling is a dream in this model, and thanks to its smaller size, it’s easy to maneuver tricky spaces. You can find nearly everything you’d want in the base trim level, which features a rearview camera, Bluetooth®, and advanced safety aids such as adaptive cruise control and brake-hold assistance at stoplights. 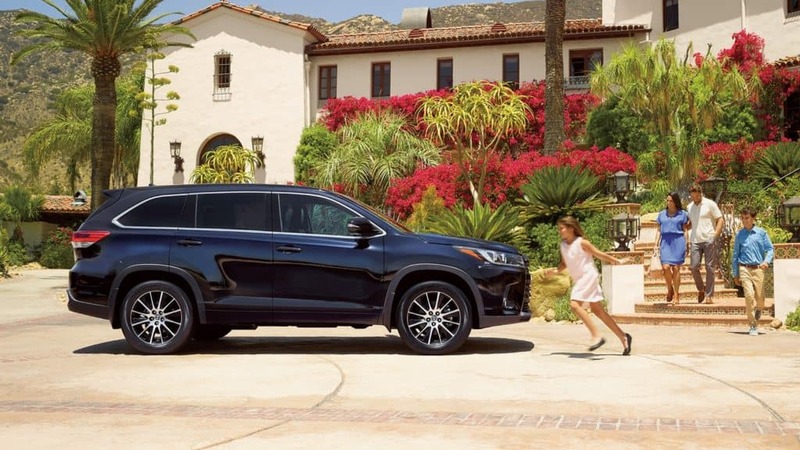 If you’re interested in something a bit larger, the midsize, three-row 2018 Toyota Highlander delivers on many levels. It’s capable of seating up to eight passengers, presents a generous amount of up-to-date and desirable technology, and a quiet and enjoyable ride quality — especially thanks to ergonomic seating and a nearly silent cabin. You’ll benefit from the Toyota Safety Sense suite of advanced safety aids and enjoy access to other desirable amenities, ranging from Bluetooth® to a power liftgate and a 110-volt household-style power outlet. Explore the full list of standard and available features at our Toyota dealership serving LaGrange, GA.
To find a Toyota SUV that’s your ideal blend of safety, style, and tech-forward, stop by our Newnan, GA, Toyota dealership to take the first step with a test drive of any of these or other available models.